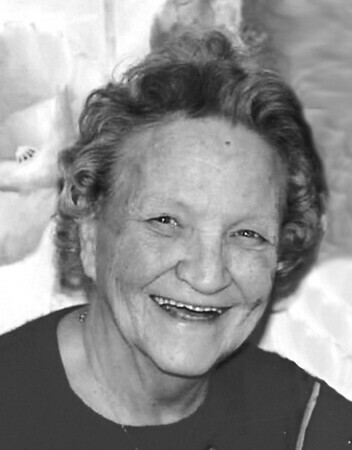 Betty (Johnson) Fournier, 80, of Newington, widow of Paul T. Fournier, passed away Wednesday, April 10, 2019, surrounded by her family. Born in New Britain, daughter of the late Gunnard and Jennie (Skomars) Johnson, she lived in Newington, since 1984. Betty was a graduate of New Britain High School, Class of 1955, and worked at the former Berkshires in New Britain, for over 30 years, retiring in 2005. She was a member of First Lutheran Church in New Britain. Surviving is a daughter, Deborah Arsenault and her husband, Robert of Newington; a son, Jeffrey Fournier of New Britain; two sisters, Nancy Wallen of Bristol, and Jean Stewart of Newington; and a granddaughter, Crystal Blume of Fort Myers, Fla. She also leaves three great-children; several nieces, nephews and cousins; and two sisters-in-law, Christine Johnson of Brewster, Mass., and Barbara Johnson of Old Lyme. Betty was predeceased by two brothers, Raymond Johnson and recently, Rev. Richard Johnson. Funeral services are Saturday, April 20, 2019, 10 a.m. at Carlson Funeral Home, 45 Franklin Square, New Britain. Calling hours are Saturday morning, from 9 a.m. until the time of the service. Burial will be at the convenience of the family. In lieu of flowers, donations may be made to the Alzheimer’s Disease Association CT Chapter, 200 Executive Blvd # 4B, Southington, CT 06489. Please share a memory or note of sympathy at www.carlsonfuneralhome.com . Posted in New Britain Herald, on Thursday, 11 April 2019 18:23. Updated: Thursday, 11 April 2019 18:26.